Home Prices Continue To Rise; Housing Is Now Economic 'Bright Spot' : The Two-Way In nearly all major cities across the nation, prices rose at a faster pace in November than they had in October, the latest S&P/Case-Shiller Home Price Indices report shows. It's another sign that the housing sector has recovered from its bust. There's more good news about the housing market this morning. "In 19 cities, prices rose faster in the 12 months to November than in the 12 months to October; Cleveland prices rose at the same pace in both time periods. Phoenix led with the fastest price rise — up 22.8% in 12 months as it posted its seventh consecutive month of double-digit annual returns." Economist David Blitzer, who chairs the index committee at S&P Dow Jones Indices, says in the report that "housing is clearly recovering. 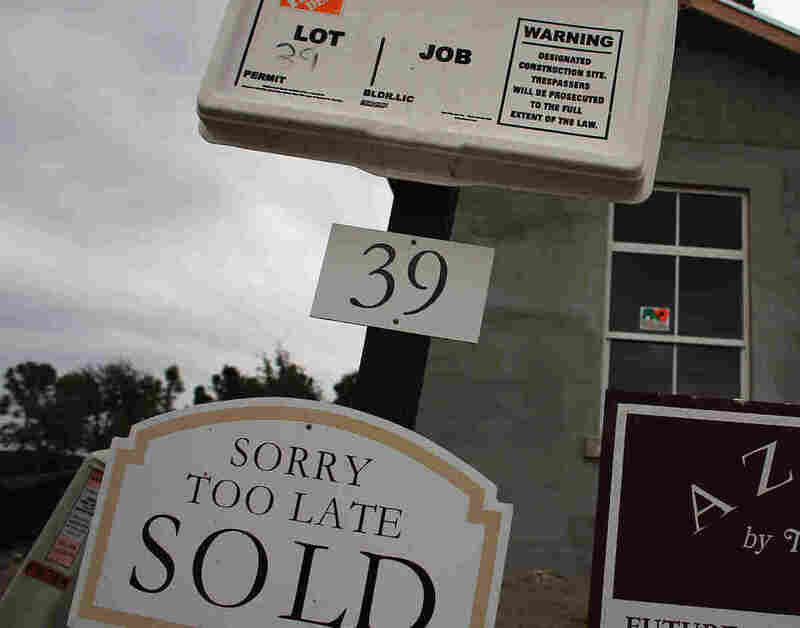 Prices are rising as are both new and existing home sales." "The nation's housing market is surging again after years of historic declines, and the unique forces powering its return could last well into 2013. "The number of homes for sale is at its lowest level since before the recession, sparking competition among buyers that has led to 10 straight months of price increases. The volume of activity is the highest since 2007." Housing is a key sector of the economy not only because of the related jobs in construction and real estate, but because of the ripple effects as home buyers spend on renovations, appliances, furniture and other goods or services.